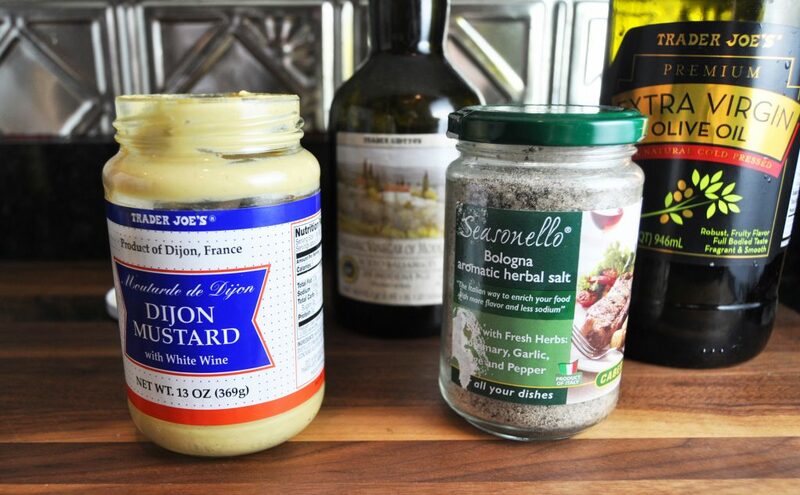 The brilliant secret to using that very last bit of Dijon mustard in the jar. I’m going to teach you the most amazing trick ever, to keep you from wasting even one drop of delicious Dijon mustard. But first, let’s pick a mustard. I must say, I find that Trader Joe’s Dijon mustard is by far the best Dijon mustard by taste and value. At $1.99 a jar, I challenge you to find a better one. It’s spicy, creamy, and adds zing to vinaigrettes, casseroles, pimiento cheese, deviled eggs, quiche, and a ton of other stuff. But the end of the jar of anything is always a pain to use. If it’s not clear by now, I hate to waste even a drop of my favorite condiment. Trick: We make our favorite salad dressing right in the jar. I used to use that supermarket vinaigrette that comes with two seasoning packets and a fancy cruet — add vinegar, water, and oil. One day, it dawned on me — I didn’t have to buy the seasoning. A few shakes of Italian seasoning and salt did the trick. I also liked to add a spoonful of Dijon mustard, because I saw French people do it and they know things. On vacation and without my usual cruet, I had another lightbulb moment: the almost empty mustard jar makes a perfect container for dressing. Actually, this Dijon vinaigrette uses five ingredients, but the water doesn’t really count. 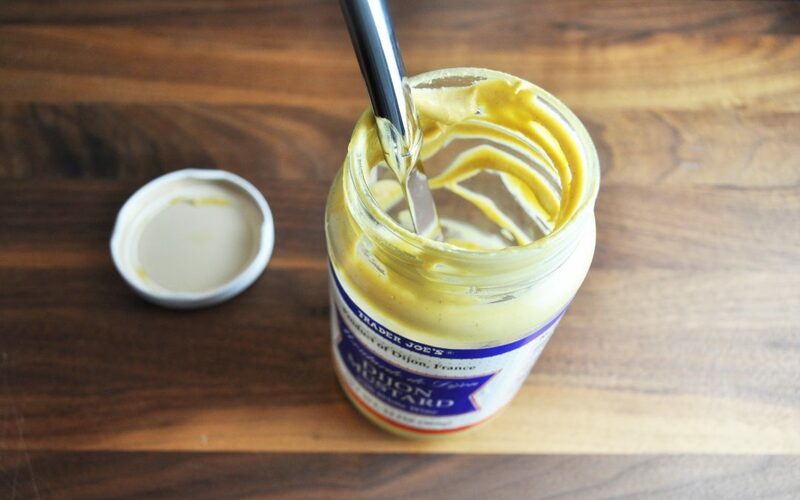 You don’t have to use Trader Joe’s brand mustard, but as you can see above, the way the label lines up makes it easy to do without measuring cups and spoons! So fun! Besides, I hate wasting food, and the idea of using up every last bit of mustard for a simple, spicy vinaigrette makes me happy. Related: A creamy vegan (and Paleo-friendly) Green Goddess salad dressing recipe that will be your family’s new obsession. 2. 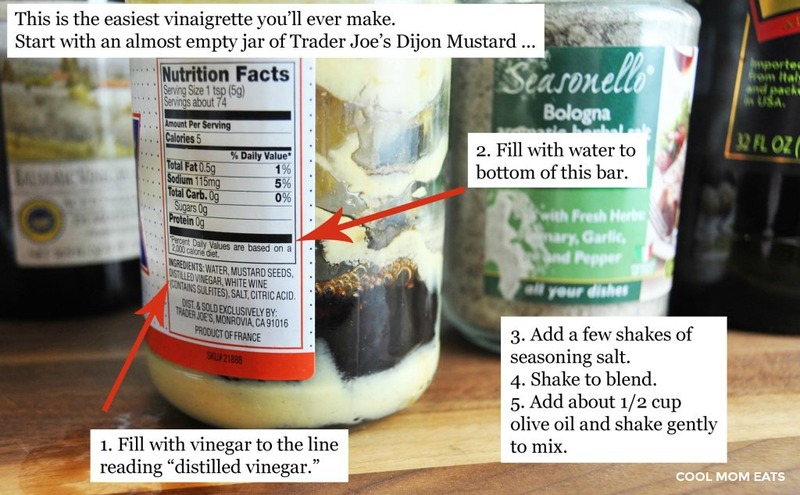 Add balsamic vinegar, water, and seasoning salt to the jar of remaining mustard. 3. Shake vigorously until the remaining mustard is blended into the other ingredients. 4. Add olive oil, then shake gently to mix. Save this Dijon vinaigrette for a simple salad, any day of the week. 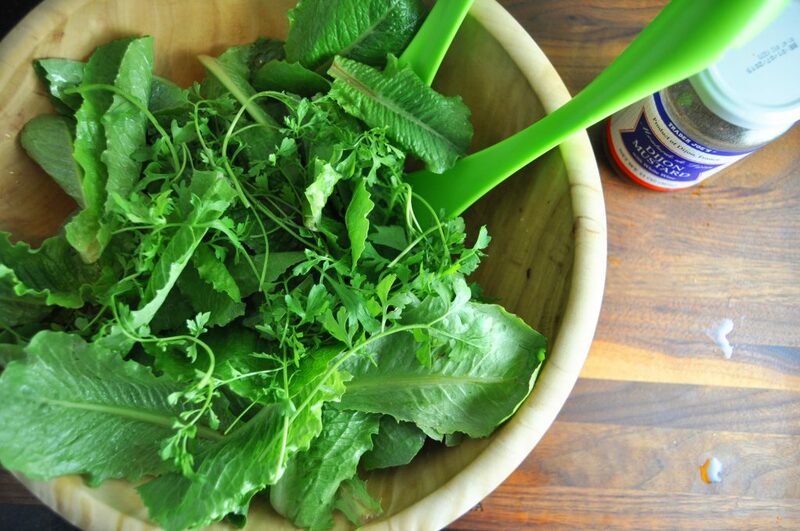 You can keep this dressing in the fridge and add a little to a simple green salad whenever you need some extra vegetables on your plate. Oh, and it should last. Because I’ve learned that French people don’t just know mustard, they also know exactly how to dress a salad – very, very lightly. 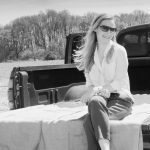 Welcome to Anne Wolfe-Postic, our newest Cool Mom Eats contributor! Anne Wolfe Postic lives and writes in South Carolina, travels with relish (and often a jar of Duke's mayonnaise), and cooks her feelings so everyone can eat them -- then writes about it. 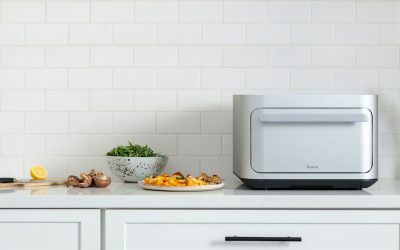 Family dinner is her passion, and she likes it in all forms – on a budget, on the sofa or around the table, in takeout containers or on plates, and on whatever schedule works. Loved this article Anne!! While I’m still working my way through the jar, how much dijon should I use for my dressing? Hi, Rachel! I’d start with a couple teaspoons, but it’s really up to you. I’ve had some Dijon dressings with a LOT of mustard, enough that it was visible, while some people use it more as an extra flavor. So just experiment and see what you like! This is genius! I usually always just toss the jar but this is such a great way to get every last bit of it out. I’m definitely doing this from now on! Thank you! I feel the same way, Billy! I was like OMG WHY DID I NEVER THINK OF THIS? 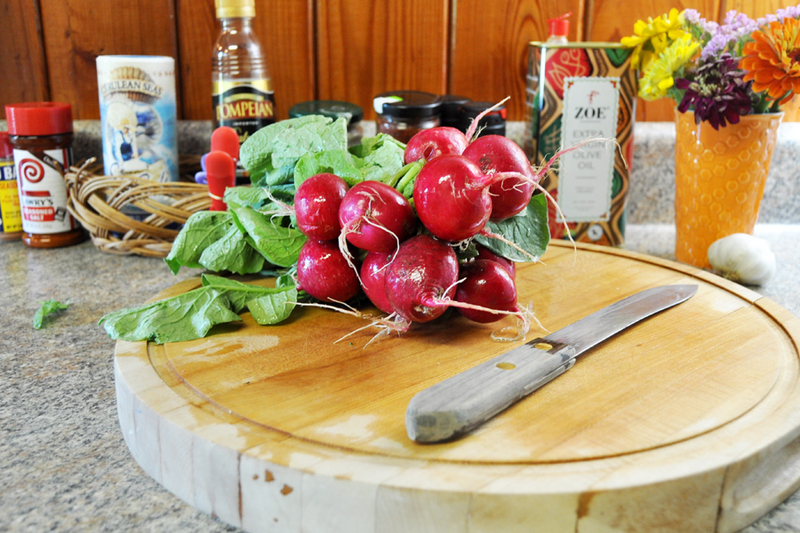 Wondering how to clean your cutting board? What to do with leftover baking soda? 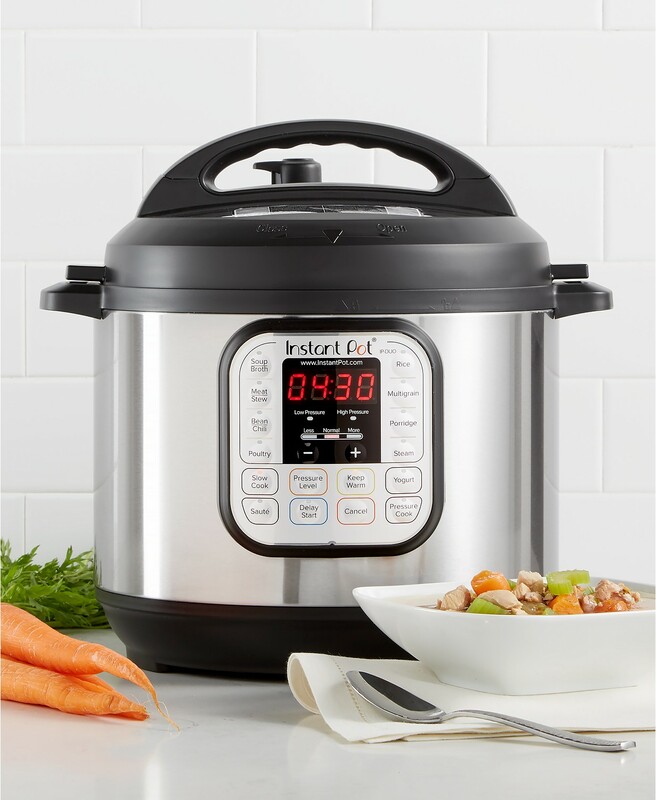 Ways to ease up on food waste? 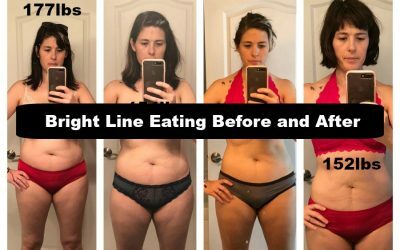 How to cut fat without losing flavor? We have you covered! 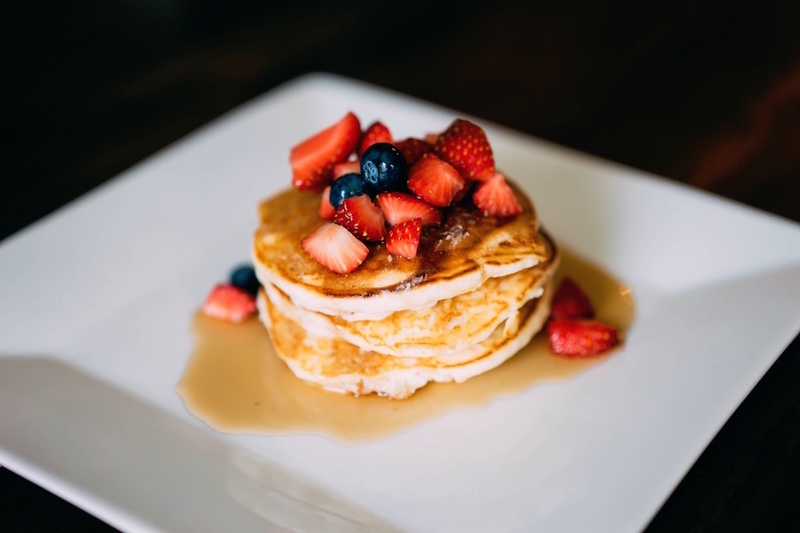 Box pancake mix hacks to make your flapjacks taste more like homemade. 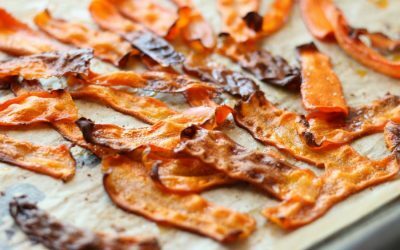 How to make carrots taste like bacon, because, yes, carrot bacon is a thing. 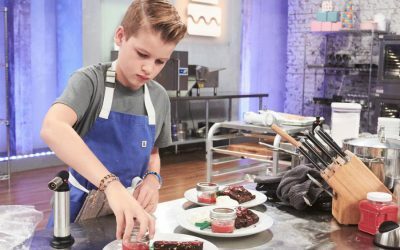 7 fantastic food docs and TV shows to watch with the kids right now on Netflix, Hulu, or the Food Network. We loves ours too. Big time. 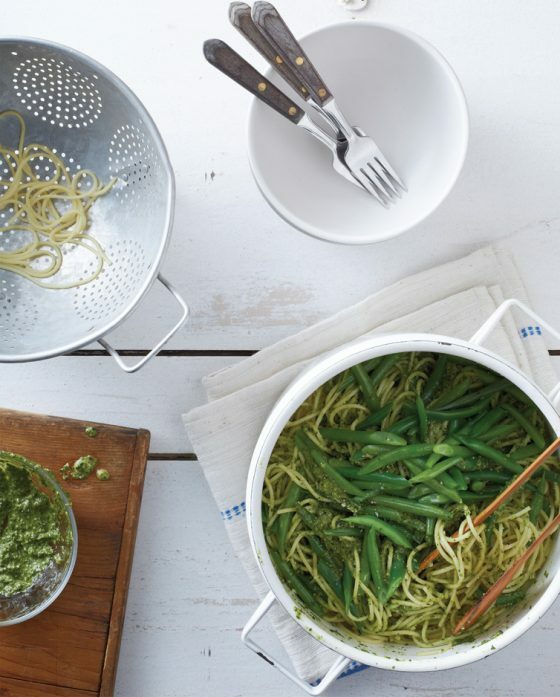 Weekly Meal-Planning: We’re here for you. Come join us, you’ll like it here! Follow us on Instagram. We’re fun. We love working with brands that reflect our values and help make feeding families better + easier. Sound like you? 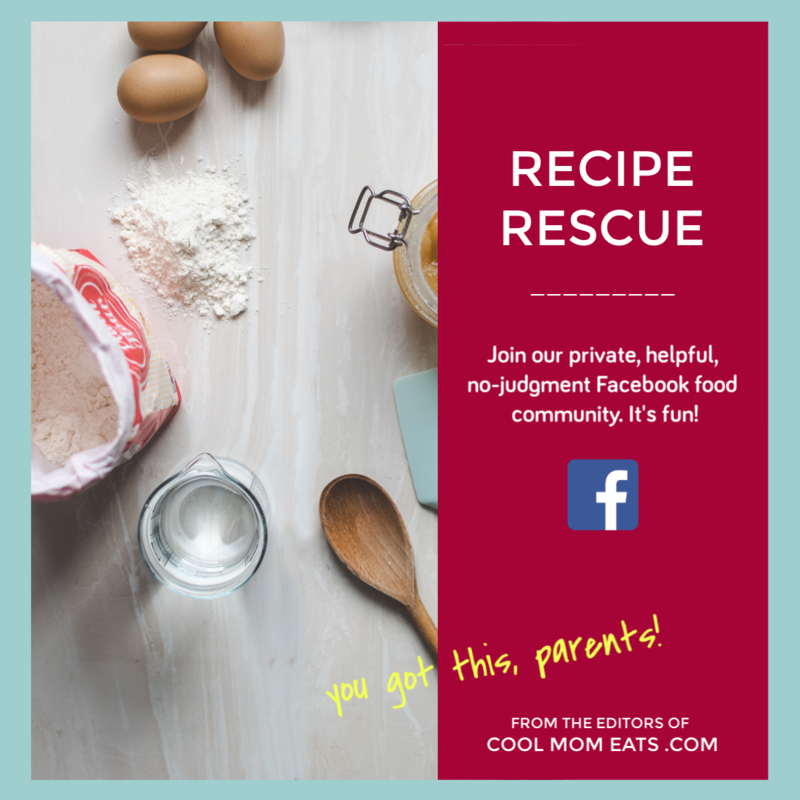 Sign up to get Cool Mom Eats right in your inbox. It's fun! 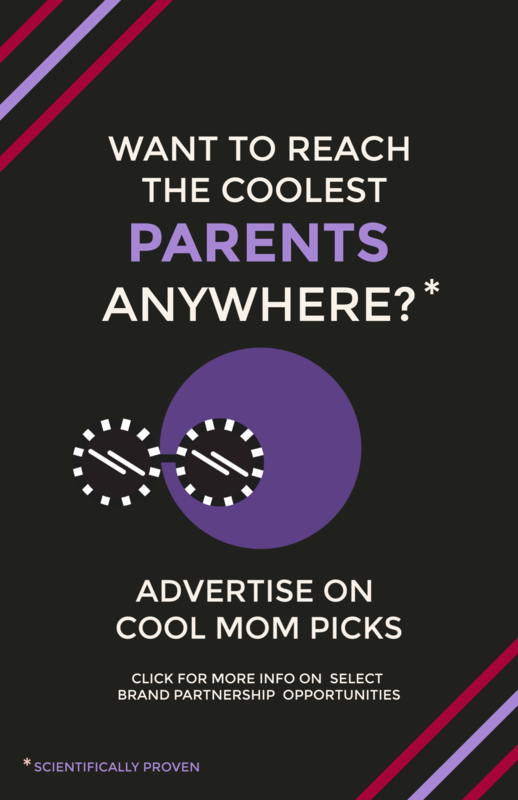 © Cool Mom Network, 2017. All rights reserved.